Welcome To Your Complete Guide To The Wonderful German Shepherd Lab Mix Breed Dog. From Appearance To Temperament, Training To Care. Everything You Need To Know About This Charismatic Cross. The German Shepherd and Labrador Retriever are the United States’ two most popular dog breeds. But what happens when you breed a Lab German Shepherd mix? Is a German Shepherd Lab the ultimate canine, or does German Shepherd x Labrador = total muddle? Whether you prefer the handle German Sheprador or Labrashepherd, this article contains everything you need to know about this auspicious hybrid. Let’s start by looking at the ancestry that goes into a German Shepherd Lab mix puppy. German Shepherd dogs, frequently abbreviated to GSDs, were the passion project of Max von Stephanitz, a German vet who was fascinated by the versatility, intelligence and stamina of Germany’s sheepdogs in the 19th and 20th century. In 1899, he bought a male dog at a show which he believed embodied all the best qualities of German sheepdogs, and called him Horand von Grafath. Back at home, Von Stephanitz created the first breed registry for German Shepherds, and began to populate it with the puppies and descendants of Horand. The rest, as they say, is history, and these days German Shepherds are the American Kennel Club’s second most popular dog breed. Whilst all modern day German Shepherds can be traced back to one common ancestor, the Labrador Retriever’s origins are much less concise. 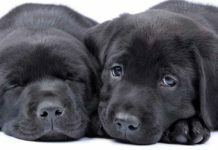 Labs are descended from an historic breed of the Newfoundland and Labrador province, called St John’s water dogs, which have long since gone extinct. St John’s water dogs in turn were bred from a mix of old English, Irish and Portuguese working dogs. 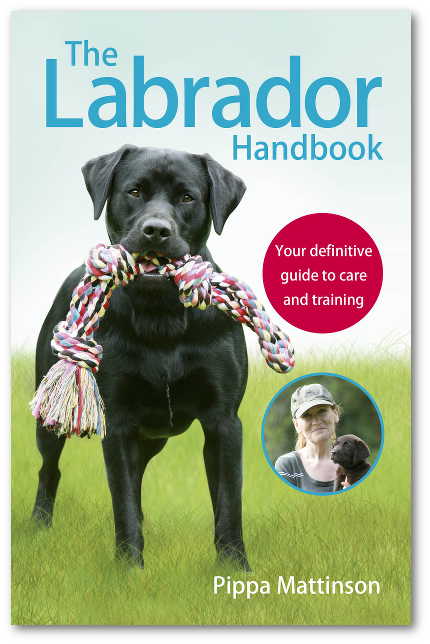 What all of the Labrador’s ancestors had in common is that they were selected and bred for their outstanding retrieval skills. From these roots, the Labrador Retriever as we know it was honed over generations. Now, Labrador Retrievers pip German Shepherds to the post as America’s most popular dog breed. Realistically, Lab German Shepherd mix dogs have probably been conceived either accidentally or on purpose for decades. The crossbreed still doesn’t enjoy the same kind of status and profile as say, the Labradoodle or the Cockapoo. In fact, burgeoning designer breed registries are still fairly quiet on the German Shepherd x Labrador. There’s not even much consensus on the best name for them yet: Sheprador, German Sheprador, Labrashepherd and Labrashep are all being used. So how can we know what to expect from this low profile dog mix? How big is a Lab and German Shepherd mix? German Shepherds are described by the AKC as large dogs. They stand 22 – 26 inches (55 – 65cm) tall at their shoulder blades, and weigh 49 – 88lb (22 – 40kg). 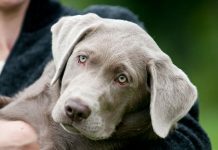 Meanwhile, Labs are listed as a medium sized breed, 22 – 25 inches (55 – 62cm) tall at their shoulders, and 55 – 80lb (25 – 36kg) on the scales. They might fall into different size categories, but as you can see, there’s not an awful lot in it – they’re both sizable dogs! And there’s a lot of overlap, so don’t assume that the German Shepherd will be the larger parent to a litter of Lab German Shepherd mix puppies! A Labrador cross German Shepherd could be as petite as their smallest parent or as big as their largest parent. How much does a German Shepherd mixed with Lab weigh? The weight range for German Shepherds encompasses the weight range for Labrador Retrievers. So a German Shepherd Lab mix could weigh anything from 55lb (25kg) to 80lb (36kg). As usual, the lower end of the range is typically made up of female dogs, and the top end is dominated by the boys. Your best chance of predicting how big your German Shepherd Lab will grow is by looking at the size of their parents. What does a Lab mixed with German Shepherd look like? 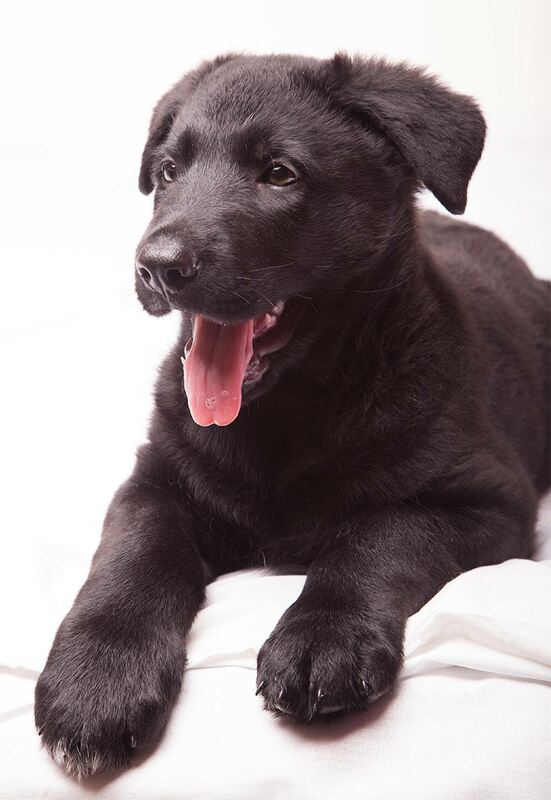 Most German Shepherd Lab mix puppies are first generation crossbreeds. That is, they have one parent of each pedigree. So there is huge variation in how they look, and no “standard” appearance. Some have the tell tale muzzle and tall ears of the German Shepherd, others more resemble a Labrador. The color of their coat will depend on the coloring of their parents. A German Shepherd and black Lab mix is likely to have a dark coat, and a yellow Lab German Shepherd is likely to have a mid-toned coat. There are even arresting-looking white German Shepherd Lab mix dogs. 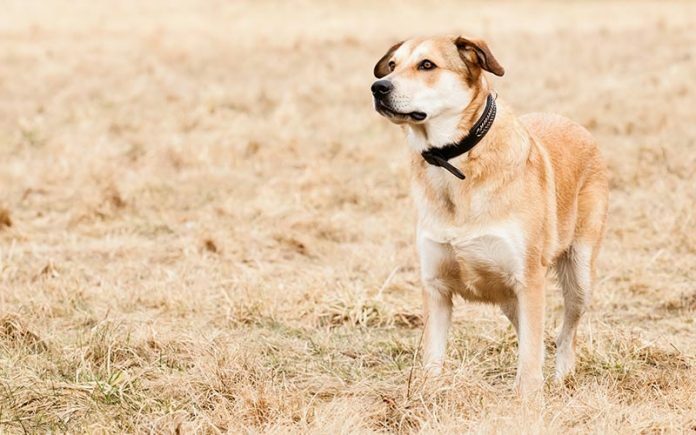 On top of their base color, German Shepherd x Labrador dogs may also inherit their German Shepherd parent’s coat pattern, for example the classic saddle back markings. What kind of personality does a German Shepherd mix Lab have? Labradors are friendly, active and outgoing. They love to interact with people, show their affection, and get on well with children. The German Shepherd is confident, courageous and smart. They are loyal and full of life. Labradors and German Shepherds are both fast learners and eager to please. German Shepherds in particular need productive ways to channel their intelligence, or they will get into mischief to stave off boredom. A German Shepherd Lab mix could inherit any combination of the traits of their parents, which is why meeting both parents before committing to bringing home a puppy is so important. How much grooming does a Labrador German Shepherd need? Like both their parents, a German Shepherd mix Lab has a double coat. An ultra-warm undercoat and a coarse outer coat to protect them from the elements as they work outdoors. Your German Shepherd Labrador Retriever mix pup’s coat will almost certainly be short and neat like their Labrador parent’s. This is because the gene for long coats is recessive and very unusual among Labradors. So even if their German Shepherd parent has a long coat, it’s unlikely to be passed on to their puppies. This means their coat requires little grooming besides a good going over with a sturdy brush once or twice a week. However, both breeds are infamous shedders, and “blow” their coats twice a year in spring and fall. If you bring home a German Shepherd Labrador cross, gathering up their lost hair will be a never-ending task! A good vacuum cleaner is essential. Magnification of health problems in pedigree dog breeds has become a well-documented problem. And there’s evidence that crossbreed dogs live longer than pedigree dogs as a result. So does this mean a dog with both German Shepherd and Labrador ancestry will be healthier? 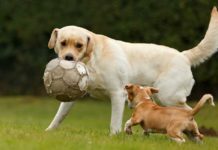 One of the biggest health problems facing Labradors today is hip and elbow dysplasia – looseness in the joints that eventually leads to painful arthritis. Another is progressive retinal atrophy, a gradual failure of the retina at the back of their eyes that can ultimately leave them blind. Labs are also notoriously greedy, and prone to obesity if their penchant for snacking is indulged too often. Gastric Dilatation Volvulus – dangerous twisting of the stomach caused by the build up of gas after eating. Chronic Degenerative Radiculomyopathy – slow onset paralysis of the back legs, caused by loss of the nerve fibers which control them. Panosteitis – an inflammatory bone disease. Where does this leave Labrador x German Shepherd crossbreeds? The good news is that dogs’ joints and eyes can be screened before they breed, so that individuals who suffer from joint dysplasia or poor eyesight can be removed from breeding lines. Furthermore, conditions like obesity are within our control as pet owners and can be prevented. And it’s possible that by breeding a Labrador cross German Shepherd, the relatively robust health of the Lab will balance out the misfortunes of the German Shepherd and improve the health of their puppies. However there hasn’t been any clinical research to prove or quantify that yet. 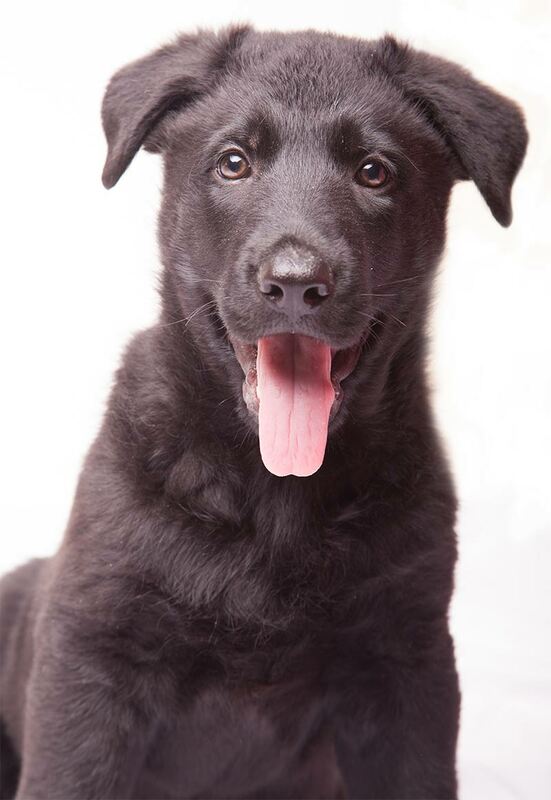 In the meantime, the best thing you can do for your future German Shepherd Lab mix puppy is ask as many questions as possible about the health and medical history of their parents, and request certificates of health screening. 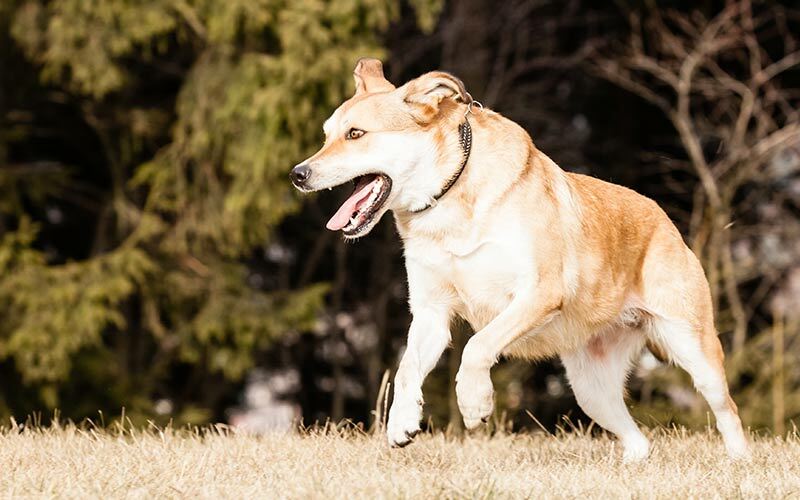 How much exercise does a Lab German Shepherd mix need? German Shepherds and Labradors are both energetic, intelligent dogs. 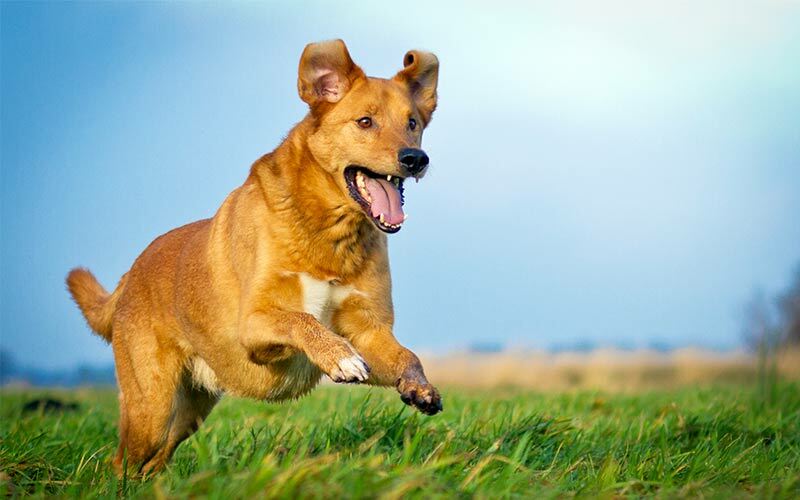 Without a doubt, to wear out a German Shepherd Lab mix so that they don’t bounce off the walls back at home, they’re going to need at least two hour’s vigorous exercise every day. A young dog in good health could require even more. They will also need human company for much of the day, and training to keep those big brains from getting bored. How easy is it to train a Labrador mix German Shepherd? German Shepherd Labs are likely to inherit a love of people and company from both sides of their family tree. But socializing them properly as puppies will be vital to give them the confidence they need in meeting new people. German Shepherds despite their great loyalty to their family can be wary of strangers. So thorough socialization from puppyhood is essential, even for a GSD mix. Labrador and German Shepherd dogs are both working dogs at heart. They’re highly motivated to learn and impress you with their ability to follow instructions. Like with any dog, training them is an ongoing commitment that lasts a lifetime. But with this ultra smart German Shepherd Lab mix it should be a satisfying and rewarding one. Is a German Shepherd and Lab mix a good family dog? 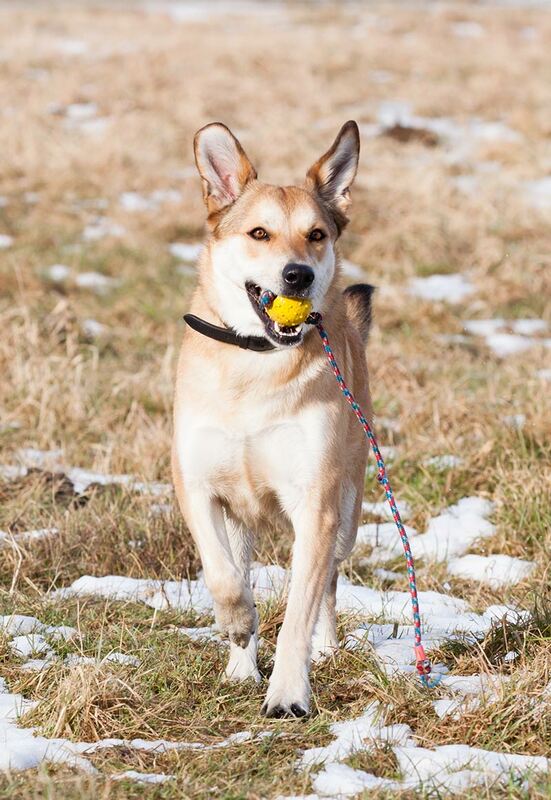 A German Shepherd Lab mix could be the perfect addition to your household if you’ve got plenty of space indoors and out for a big dog, and you spend lots of time doing activities your dog can join in with (like running and hiking). German Shepherd cross Labradors demand lots of stimulation to stop them getting bored and destructive, so if you have family members willing to share in entertaining them that’s even better. Like both of their parent breeds they’re great with kids if socialized properly as puppies, but always supervise them with young children. A big German Shepherd Lab mix dog can easily knock over a small child in the excitement of a good game. Likewise, make sure your children understand the importance of respecting dogs’ boundaries, and knowing when to give them space. 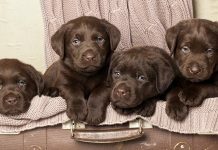 German Shepherd Lab puppies are advertized widely for sale across the country, and luckily don’t command the same price premium as other more fashionable cross breeds. That said, breeding a healthy litter of pups from healthy parents costs breeders a lot of money, so be wary of puppies being advertized for improbably low prices. 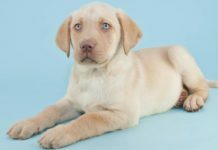 Besides the usual puppy matching websites, the increasing number of designer breed registries often keep directories of breeders specializing in German Shepherd x Labrador matings. If you have a particular coloring for your pet in mind, for example a German Shepherd chocolate Lab mix, then be prepared to wait a little longer for the right pup to come along. 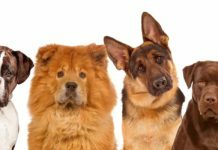 Are German Shepherd cross Labradors “designer dogs”? The term “designer dog” was coined in the 1980s to describe matings between two different pedigrees. Along with a catchy portmanteau name, it distinguishes them from mongrels of complicated and unknown ancestry. But mating pedigrees with very different body shapes or polar opposite personalities can create muddled and unhappy offspring. As we’ve seen, there’s a lot of overlap in the size and temperament of German Shepherds and Labradors. So whilst a Labrador Retriever German Shepherd mix is technically a designer dog, it doesn’t warrant much controversy in terms of health and welfare. Is the German Shepherd Lab mix right for me? In the increasingly complicated world of designer crossbreeds, the German Shepherd mixed with Lab is a refreshingly sensible and down to earth combination. Their sizes are very similar, and their personalities are complementary. So when you bring home a German Shepherd Lab mix puppy, you can be pretty clear of what to expect. If you’ve got the space for a big dog, and an energetic outdoor lifestyle to keep them busy, then a Lab and German Shepherd mix dog might be your perfect match. Do you own a German Shepherd Lab mix? Do you think of them as a Sheprador or a Labrashepherd? Is your dog a black Lab mixed with German Shepherd, a German Shepherd yellow Lab mix, or something else altogether? What have they been like as a pet and do you recommend them? I adopted what I thought was just Chocolate Lab. The pound said he was 2 and full grown at 59lbs. The vet told us otherwise. They said he was maybe 9 months and would grow much more. Almost a year later he is 85lbs and is much much taller! Full of so much energy! I feel he could be German Shepard mix because of his fluffy tail, height, corse back fur, and the Shepard symmetrical wing type pattern on his back! I’d like to do a genetic test on him some day to see ? We have an eleven year old German Shepard/Black Lab mix. He is such an intellegent wonderful dog. Tall and thin (needed to get a counter height table to keep his chin off of it). You can see him think. He is obsessed with playing ball and can think of where you are going next in the yard and places it where you MUST move it to get your work done. We got him at a year old, knowing that his back hips were barely in the sockets. He started on anti-inflamatories at 5 years when he started to cry at night. He loves his one mile wallks and still pulls hard the whole way. He’ll chase a size 1 soccer ball until he’s exhausted. He has a 1/2 acre yard to run in and if you can kick the ball far enough you might have a few minutes between kicks. He is such a great companion dog that we had him DNA tested to see his mix. 50/50 lab and shepard. Black with white chest spot. Currently 79 pounds and sleek. Enjoyed your article. My dog was a rescue and represented to us as a “lab mix”. At about 4 mos old it became apparent that he was a german shepherd/lab mix with those huge upstanding ears! He has a beautiful black coat w/brownish undercoat and he has the longer hair. He loves water that comes out of a hose or faucet, but will not set foot in a body of water. He has a very strong prey drive that I still struggle to control. He stalks small animals and does not get along with other dogs. If I let you in the house, he’s great. However, while you’re waiting on the other side of the door, you will definitely be scared. All in all, he’s a good boy, but he’s definitely my dog! I was in search for a good dog after my last few died of old age. Well actually one was run over by our tractor at the begining if the year. Tragic day, big stain that seems to have settled in on the drive shaft…. Couple weeks later we was at the lawnmower races and Shytstanemagee ran right out and was ran over multiple times.. Ok, so mabe it wasnt old age but we lost em and thats that.. So I was driving big red with my wifey looking fer road meat when we sees a sign that read dogs for sale.. When we pulled in we fell right in love and had to bring that small guy back wit us. Turns out hes a labrador and shep mix.. he is a big dog, he came with many tricks. He runs head first into the couch and door.. most of the tyme he just lays and licks his pecker, hes just like my wife.. I think you should get a dog like this too. Just be sure to have alot of spare cardboard incase those head holes he makes in yer front door git bigger, you use the cardboard and some red tape to seal er up. One of his eyes droops alot but thats ok, its like i say about the sheep, just because they cant get away dont mean they dum. He howls alot when he pees, hes such a happy dog. Old fred from along the way tells me theys all the same but mine seems smarter then the other ones. I never sees a dog with 3 teeth before but that is 2 more then me..
Something funny is happening, my boy is having babies, wes having a big family now!! First, I’d like to say, I’m glad I found this website, where I can relate my experiences. I recently lost my pup to cancer. She just turned 13, and a month after her bday, she had passed away. I’d like to say, she was the best pup I have ever had. Since my husband and I don’t have kids, she was definitely spoiled, plus she didn’t have any other puppy siblings in the house. I’d have to agree with some of the posts. If you’re thinking about adopting a lab-shepard mix, be prepared for energetic attention, all through out their teen years. My baby was a chocolate lab mixed with shepard. When I bought her, I wasn’t informed enough of the breed,, so I was in for a surprise. At the time, my husband worked and I went to school, so half of the day, she’d be with other family members in the house—who paid less attention to her,, and boy, did she take her boredom out on our stuff. One day, my husband went to work with “airconditioning” on his shoe, not noticing he had holes the size of a thumb. Or times where buttons on our remote controls kept missing, and we found out she had ripped them off and hid the pieces on her bed. Life isn’t boring with a labshepard mix. She sloppy kisses, grunted when she disagreed, barked/cried when she needed to go out, and poked us when she begged for something. It took me a year to teach her basic commands, but repetition is definitely a must, because she was also easily distracted. She had an obsessive relationship with her squeaky kong ball until she was older, and she learned to entertain herself later on when she learned mommy and daddy left a few hours of the day. She loved her stuff toys a lot, and always came back to her favorites. As she got older, anxiety kicked in. She definitely was conservative of her space, the lesser she interacted with other pups. She was still a people person though. She was quite tolerant, except a few instances when her space is being invaded (with my husband and I as an exception). She was always sneaky with food. And she never forgets if she didn’t like a person the first time. She became calmer as she entered 10 years of age, but still acted like a puppy when we came home from work. If she was watching us intently, you’d know she was trying to figure out how she can do it herself, like the time she watched us open a new container of treats, and she knew to push the lid open after first watching us (without teaching her). She was definitely intelligent. Healthwise, she was hardly sick, and was healthy for 12 years. We regularly took her to vet only for shots and once or twice to see the vet for apparently an allergic reaction to something. Her health declined at 12 years old. It started with arthritis, then moved on to a tumor, but then quickly, in 3 months time, found out she had cancer and lungs and heart were shutting down. She was the best decision I’ve ever made. And even though it was a roller coaster, she was all worth it. If you decide to have one, be patient, learn with them and love them. Everything will take its course.To those who currently have one, Enjoy them and congrats. And to those who’ve had one, like my husband and I, I bet you’ve had a good relationship with your pup, and he/she will be missed dearly. I have a black lab German shepherd mix. He is 13 months old now and is very huge and an awesome smart dog! He’s cute and he thinks he’s small and sits on people’s lap. It didn’t take long for me to train him. He’s very playful and the funniest part is, he loves to play fetch with stones. He brings stone and asks us to throw it (of course we are careful while playing fetch with a stone) and now he has a collection of about 50 stones in my room which he brings from the garden. And YES he is very protective and wary of strangers. I have a 5 month old black lab/gsd mix and he is the hands down the best dog I’ve ever owned. His mom is a lab mix with small amounts of akita, put bull, and golden retriever but we believe that the dad was full german. He is mostly black with golden brindle legs and brown on his face and chest. He is the sweetest thing. He can be very energetic but also loves being at home and cuddling with us. He has a german shepherd body and looks totally different from all of the other pups in his litter! I am so thankful that we ended up with such a good mix! He’s the best. Loved reading all the stories of human love for animal love. My “Maggie” is a rescue dog with absolutely NO history. Rescued her two years ago. We know she is lab and I now believe part Gr. Shep. (her ears are always up). She is a beautiful blond with white, affectionate, intelligent, loves people, walks, rides and outdoors. She is probably 4-5 yrs. old now and has had at least one litter of pups. Yes, she to understands when I talk to her; what a smart girl. It seems we have our own language and understanding. She makes me laugh also. I rescued her COMPLETELY TRAINED!!!! What a blessing, huh? Her only negative side (if there is such a thing) is her distinct dislike for other dogs. However, she LOVES people and they have no problem is giving her the pets and affection that she thrives on. ONE GREAT BREED….NONE BETTER!!!!! Have had two Shepradors. They were wonderful and no other dogs before/after can compare to their versatility: excellent companions, child-friendly, curious and playful, non-aggressive but watchdogs and no health problems. Such great dogs. Would recommend them and am befuddled as to why they aren’t more commonly owned. I have a lab/shephard mix. Both parents are purebred, She is eight weeks old. She is very smart and trains well. 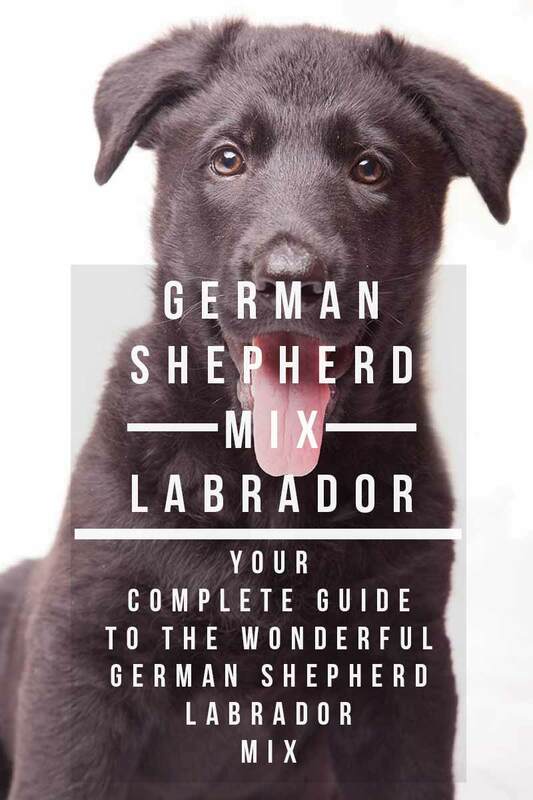 I would like to know how to get your book on the Lab/Shephard mix. we just lost our lab/shep. She was 13. She was literally the smartest dog we have ever had! sweet girl. I would get another one in a heart beat. She needed a lot of exercise and keep her brain moving when she was young. it takes dedication but is 100% worth it. kind, gentle, smart – has everything. I’m sorry for your loss.. :(, I know how it feels..We also just lost our babygirl, at 13 yrs old last 01/13/2019. She was a chocolate lab shepard mix, and was the smartest, playful, sassiest, sweetest pup. I was lucky to have found her. And raising her for 13 years was the best gift she’s left me. She didn’t have a single health problem until about 13.5 years old when she started to get some arthritis. She would be 15 in January, but now has bone cancer and also nerve weakness in back legs and so the vet will be here tonight for her graduation party. We will miss her terribly. I’m sorry to hear of your pup’s illness. I recently lost my babygirl at 13 yrs old last 01/13/2019. I’ve had her since she was 3 months old. Reading through your post, it reminded me of her very much. Especially the mention of being healthy most of her younger years. Mine was the same, until her health started to decline slowly on her 12th year. I hadn’t thought of a label, but I would lean toward Sherprador. It sounds noble enough and uncomplicated. My pup is black lab mixed with GSD and small amounts of akita, pit bull and golden retriever. Most people think he’s pure lab because of his shiny black coat and lab like head. He is only 6 months old, so that may change? He is lovable and loving, super intelligent, willing to please and exuberant. Yes, for the right owners, I would recommend his combination. He is a rescue I adopted at 8 weeks. He is a wonderful traveler. He sleeps almost as soon the engine turns on. He drove with us 9 hours (with potty breaks) to Maine from NY with no hassles. He rode 4 1/2 hours (with potty breaks) to NYC and learned to adapt to traffic and concrete. He lives in the country where he has several acres to play on. He LOVES people and is eager to make friends with other dogs. We just adopted a 10 month old rescue yellow lab gsd mix. She is a sandy color; with a pointy nose and floppy ears. She was mistreated when young, so she is very leery of people. She has finally warmed up to me (after 2 weeks), but still has a difficult time with my husband .. basically all men .. pretty sure a man must have mistreated her. She is a very sweet girl otherwise. Training is not going as quickly as we had thought, but since she was mistreated, she has a hard time trusting us. Potty training is going quickly though .. but then our 2 year old black lab pretty much let’s us know when they need to go out. We trained her to ring a bell on the back door when she needs to go out. We are hoping to train our shephedor to ring the bell as well (once she isn’t afraid if the bell sound). I have a lab German shepherd with a little bit of boxer. His name is Gus and just turned 12 years old. He is definitely showing is old age. He has always been very protective with our family and very easily trained. He has the body of a lab, colors of a German shepherd , short hair and the face of a boxer. He listens very well. I was told he could live upwards of 16 years old. Who knows but so far he is very healthy. I just enjoy the latter part of his years. I couldn’t ask for a better dog. I have a black GSD X black Lab mix named Raven. We adopted her 2 years ago when she was just two months old. Despite the fact that the gene for a longer coat is rarely passed to mixes, she has the longer coat of a GSD. Her entire coat is pitch black and she has big orange eyes. She is extremely energetic and swims in our pond every chance she can get! It takes her a while to get used to strangers, and she is really protective of me. She looks like a GSD, except that her ears are floppy and she has webbed toes. She is my baby, and I wouldn’t trade her for the world!!! I adopted a GSD x Golden Lab puppy August 9th as rescue. DOB May 25th. Jax is golden color but with all the GSD markings. Black muzzle, eye markings and black down his back. He has lab ears, coat and tail. In the two weeks we have had him he has become potty trained, knows basic commands and walks on his leash like a champ. Very playful and sweet. Friendly with everyone and other dogs. We are so happy we were able to be his forever home. I see many adventures in our future! He can be a stinker though when he gets bored but redirection works great. Drop with our hand under his mouth has saved many shoes and household items. I have a 9 week old Lab /Gsd black coat with brown under his chin and on legs and around his bum he is such a crazy energetic boy always wants to play! Hi I just got one, a girl, how did you teach yours to bark when they need to pee or poo? Thanks! I have a baby German Shepherd/Lab mix. He’s a male and I got him at 3 weeks. I trained him to go potty outside by crate training him. German Shepherd and Labs will refuse to pee or poo in their crate because they like to sleep in clean spaces. He will cry in the beginning so just be patient. Unfortunately accident do happen when he’s outside the crate so to fix that I give him treats when he goes potty outside and I don’t give him treats or compliments when he pees and potties inside! Hope this helps. You just have to be patients thought. It takes time for the puppy to get used to the idea of being in a crate. Like any other dog, Yu just have to be patient..
We also just adopted a sheprador.It is light yellow on the top, and then the color fades to white. She is so cute and exciting. Her mouth is also yellow. I have a Sheprador! He’s beautiful (he’s black with a little bit of dark brown on his sides). When he was a puppy he would chew on my shoes, and run away (never far, mostly he wanted to play the “try to catch me” game ?). He needed a TON of attention and excerxise. He HATES being alone. He loves to go for walks, bike rides, car rides, etc. He’s very very smart (I swear he understands everything I say to him). He’s very protective, affectionate, great with kids and other animals, compliant (now), and so energetic. He’s 4 now and I hope he lives forever. We adopted our Sheprador from a rescue. Ella is now 14 weeks old, yellow/brown, and with eyes that look like she’s wearing eyeliner with little eyebrows! She has been very easy to train with commands, but potty training and crate training have been a challenge. Puppy biting is also an issue, but we’re working on that. She’s very attentive to us, her humans. Our plan is for her to become a service dog for my son. I’m glad we have this sweet girl! I have a 4 yr old shep lab mix, and he is awesome. Super energetic and needs lots of exercise. He is very loving and friendly and good with our elderly small dog and cat. So smart too! He was pretty destructive the first two years and had to be watched closely, exercise was very helpful. Although not nearly as crazy wild as he was the first two years, he is still very energetic. He is a great family dog, but you do need to be committed to giving this kind of dog lots of activities and attention, and love of course. He is no couch potato! I had 2, a rescue first and after him I only wanted another one. They were different yet wonderful in so many ways. I can’t make myself want another breed now. I’ve had Darcy, a gsd X black lab for 2 months. She was 5 months when we got her and she has now doubled her body weight up to 20kg already (7 months old). She is an utter nut job when she gets playful and she is very protective of me and my family. She is very weary of strangers when she’s on the lead but doesn’t notice them when she’s off. She has been fairly easy to train in terms of basic stuff (sit, lay, roll over, come and go busies) but not do you need to always remember her ball on walks. She just won’t burn off enough energy unless she has something to hunt. I just rescued a shep lab mix, she was 10 months old and had never been trained or socialized or walked, she is really friendly and loves to play, however, we are having some difficulty with her trying to be dominant, nothing we try seems to be working, can anyone suggest something? we adore her but she gets over excited quickly and her nips turn to bites and then she thinks us telling her off is a game. The only thing that calms her down is closing the baby gate on her and leaving her in the kitchen, which is great when we are at home but out on walks when she gets overexcited we can’t do that. I got Kuiper last april. He was 4 months old when i got and he was already a huge, energetic puppy. He is big, prolly 80+ pounds and mostly black with a white stripe on his chest and belly and the very tip of his tail and a sort of sandy/tawny dusting on his paws. He showed his protective tendencies very young. Hed let out a soft chuff to warn me if there was another dog or person he didnt trust. That and his body type are where the shepard in him shines. He is very deep chested and much leaner with shorter rear legs. And floppy triangles for ears. Every now and then he will hold just one up.. so cute. Other than that he is very loving and much more motivated by play and affection than food. He will play fetch/football for hours on end and is always eager for a cuddle or belly rub. Gets along very well with my cats too. I have actually 7 Shepradors* puppies right now. We are probably keeping two, plus their mother (She’s the GSD and her pregnancy was an accident.) My FIL/MIL (puppy daddy’s owner) and UncleIL/AuntIL are getting two, one puppy per couple. We have three left and two of them have found forever homes already, but my last black female will be staying with us until we find her a place. As for recommending them as pets: they were born on 01/26, so they are only about 2 weeks old. I’m almost positive that if you have the time and energy for them/one; you won’t regret the decision. I’m also not a fan of small, yappy dogs. We originally my German Shepherd for protection when I’m home alone. We are keeping the two females with white tipped tails. Mil/Fil are getting the dark brown male. UIL/AIL are getting the light brown male. One of our friends is getting the second black female with white marking on her chest (because he talks a lot and so does the puppy. She’s the loudest, most vocal puppy we have.) and another friend is getting the all black female. Just need someone to speak up for this last puppy. I couldn’t be a breeder though. I DON’T want to raise 7 puppies at all. I don’t want to give any of them up though. I’m already attached to them and they’re super soft with medium-length coats, snuggles, kisses, and puppy breath. I mean we weren’t planning on her getting pregnant. She had just turned two a few weeks before FIL’s dog knocked her up. We swore we were just gonna give them all the puppie to deal with once they were weaned and able to leave their mother. As you can see from the above (where we’re keeping two ourselves,) that changed rather quickly. The black female we’re keeping for a particular reason other than she’s just cute: she was born dead. We thought our GSD was done but she surprised us 2x after the first six of the litter. There was a black male pup that didn’t survive; our dog didn’t make any noise with that birth; she didn’t make any effort to save him herself. I had stepped into the restroom briefly (recomposing myself and washing my hands). My hubs had gone to get something to eat from the kitchen. Like I said: We thought she was done at six puppies. So we didn’t make it in our bedroom in time to save him; he died in the sac. My poor hubs tried! He did CPR for at least 30 minutes before I told him it was no use. About an hour after that we were both in bed and my shepherd was on the floor with her six puppies. Husband just happened to sit up in time and saw another puppy coming out. I ran and turned the lights on, grabbed the sac the puppy was in (no gloves at all; wore gloves for the other 7) and tore it open as fast as I could. I grabbed the runt and started trying to get her heart pumping by doing compressions on her very fragile chest. Another stillborn puppy. I had just buried the third male of an 8 puppy litter. Husband took the puppy and did mouth-to-mouth-&-nose with ches compressions. I was crying and watching that little girl for ANY sign of life. Then, after what felt like a millennia, he felt her heart beat. After she was dried off, fed, and ready for sleep (I know you aren’t supposed to hold them too much when they’re newborns) I picked that tiny 1lb runt of a girl up and held her for… i don’t know how long, but it felt like hardly any time at all. *Labrashepherd doesn’t roll of the tongue for me as well as Sheprador does; however, my husband prefers Labrashepherd over Sheprador. He still probably it a Sheprador though since that’s what I do. Loved your story. We are enjoying our 1,5-year-old Nikita. She’s an adorable hyperenergetic yellow rescued Sheprador. We have a black lab shepard mix, her name is Jedi aka Baby Baby. She is so lovey and smart. She is the most amazing dog with kids. She plays hide and seek with my 6 my old son, though she cheats and tells him where I am when I play with them. If i call my son and he doesn’t answer she barks and runs around where he is and lets me know where they are. She sleeps with him and if he has bad dreams or talks in his sleep, she puts her head on his back or chest and makes these soft noises and comforts him. She is so gentle and lovey. She does think she is a little dog though and loves to sit in my lap. The day we adopted her was our lucky day. I have a two year old lab/GSD that I absolutely love. He is black, looks like a lab but is more pointed in the muzzle like a GSD. He has long shedding hair which floats everywhere. I have to sweep and wipe down counters daily. He is highly energetic and loves to lick my hands and make loud barking sounds when someone comes near our fence. He’s pretty large, about 85 pounds of sweetness. He is laid back in the evenings just sitting at the foot of my bed or near the sofa. He gets along well with my gchildren; just a little dorky when excited. I definitely recommend getting this mix. I have a golden lab (which I never knew existed) and German shepherd mix. He’s the color of the golden but has a dark on his muzzle and around his eyes. I call him Worf because the top of his head is wrinkled and makes me think of a Klingon! I’ve only had him since 11-22-17 when I adopted him out of a humane society at 1.5 years of age. He’s loyal, protective, wary of strangers, great companion, sweet, loves to cuddle and laze about until a ball is added to the mix! I can’t wait till the days are longer so we can get outside more. We have a 4 month old lab shepherd cross. He is fawn colour with a black muzzle. My 15 year old daughter and I adopted our Sheprador from a local shelter, he’s ten months old now and has added so much joy to our lives. We’ve named him Bentley and he’s so ornery but also lovable (won’t always cuddle though ????) and very smart. Always needing something from us and talks back at times so he has a very strong personality which we love about him. He keeps us on our toes for sure! I wasn’t necessarily looking forward to having a dog around but he’s the greatest puppy-we love him so much! Wish I could post a picture here, he’s grown so much the past 8 months that we’ve had him. We don’t know anything about his parents but his sister was all black and they were found as tiny pups on the side of the road. He’s short hair, tan with mixes of black and one little white spot on his chest. Lab looking short snout and lab backline as well. His coloring, dark circle near his mouth, and ears that stand up make his German Shepard obvious. Love reading about all the other lovely pets in his breed out there! Many years ago i had the pleasure of having a Lab x GSD for best part of 16 years she looked 100% black lab but had the GSD bark even my vet had her down as a Lab for her first 7 years. Her mum was one of the biggest GSD I had seen but I never saw her dad. Sam was one in millions and was perfect in every way there was not a command she didn’t know. I couldn’t have wished for a better family dog soft as they come fantastic with the kids but at the same time very very protective. When walking her I always knew she had my back and would not let anyone to close to me especially in the dark and on one occasion stopped a man from grabbing me. Sadly I know I could have a million dogs and never be lucky enough to have another Sam. Agree. My babygirl passed away at 13 years of age. She was a choco labshepard mix. Her name was Deedee. She was beautiful inside and out. And I would never find another like her. I’d know to pick her out from a million other dogs. I was also lucky to have her in my life. We are enjoying her very loving and adorable. My kids love her. I have had a lab/ German shepherd mix for 5 and 1/2 Years called Sammy. He is a wonderful dog but very wary of strangers. He has the German Shepherd ears and long hair, I assume he is a unique dog because his mother, the Labrador was a yellow lab and he is completely black. He is defensive of us and loves to hunt squirrels and other animals. when finding a dog to give him some company last year we found that he did do much better with females than with males. Also I guess he is a particularly large dog being 85 lbs. I have a four year old black lab GSD mix. She is the most incredible dog I have ever owned. She is so intelligent and clearly communicates with us with her range of different barks for different occasions. She loves our two year old child who loves her back in equal amounts, although his love can sometimes equate to overbearing, aggravation of the dog. The dog just sits there calmly and allows this to happen. She is totally amazing. I would not hesitate to recommend this mix to anyone looking for a clever, affectionate, loyal, loving, friendly family dog. I have an all black gsd lab mix. And i have to say out of all the dogs I’ve ever owned, (lab, gsd, pitbull, boxer, dobby, husky and Chiwinnie… Dotson mix) he is definitely not the brightest of the bunch and that really surprised me. Lol lets just say if he was a person he would be socially awkward :(…. But we still love Ace and wouldn’t trade him for the world. Met a friend of a friend and he said the same thing about his, parents of both puppies have no relation. Is this common or is this just luck of the draw? My personal favorite was my pitbull rescue tho, she was always so sweet and well mannered unlike her brother the husky, smh he’s like that crazy energetic cousin everyone has lol. My guess is luck of the draw. I am the proud owner of 5 lab/Shepard mix dogs. Sadly 3 of the 5 are “special” and “socially awkward ” the other 2 are amazingly intelligent and quick to learn. Of course i love them all and wouldn’t part with a single one of them. We just rescued a Black Sheprador (my call), whose father is a solid black GSD, and mother is a yellow lab. The result is the beautiful black bear- puppy who is a ball of love and intelligence at an incredibly young age! I can’t for what’s to come, as I know he’s just going to be an incredible addition to our pack of now 5. Our Chihuahua has taken to him kindly, and they rest together which means the world to us. I can’t to see what’s to come ! i had lab shep mix for 11.5 years. she was nothing short of amazing. if you are considering one do not hesitate. I adopted Artie 4 yrs ago. He is intelligent, so so funny, loving , and a great companion. He is yellow, with the snout of a German Shepard. He is80 lbs and loves to cuddle. He is very protective and very wary of strangers . But once he trusts you he is your friend. However he is most loyal to me. I just love and enjoy him so much. He loves to hike, snow shoe , run, and play hide and seek. He is a wonderful dog. I have a black lab german sheppard mix. He is all black with a little bit of white on his chest and paws. He is 5 years old and amazing i would deffintly reccomend getting one. So smart and loving. Hes my boy ??? ?